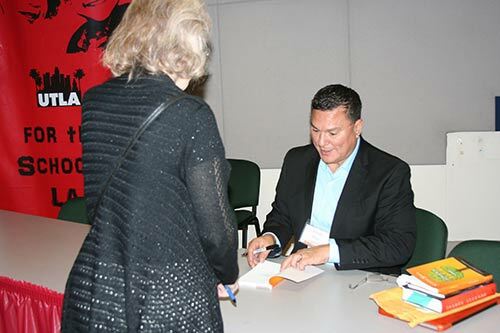 "Visual Literacy: Image as Text"
Simón Silva shared insightful views on the arts and creativity and led a hands-on creativity workshop before signing his books. 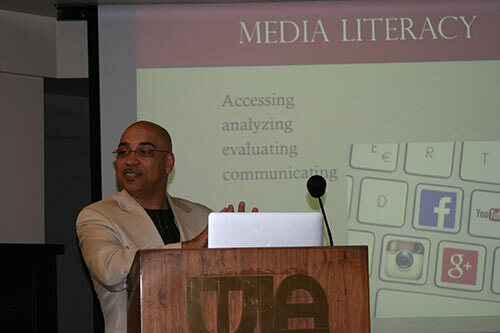 Dale Allender, Ph.D., spoke on critical media literacy practices. 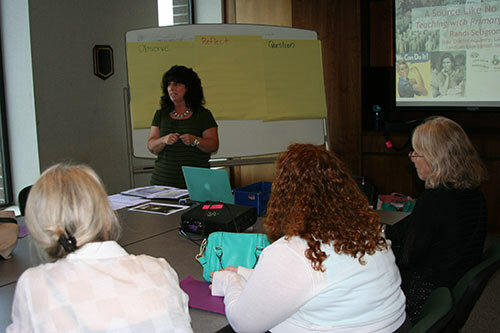 Tracy Sprague, vice president, leads teachers through using visual text to develop writing. 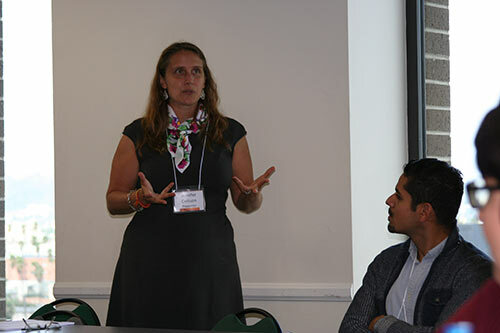 Jennifer Collison, with Karen Carrie, shared experiences creating an interdisciplinary digital arts magazine with high school students. 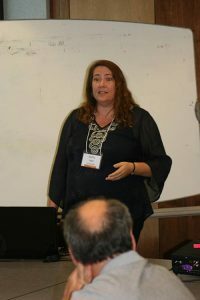 Randi Seligson shared insight on how to use the online collections of The Library of Congress. 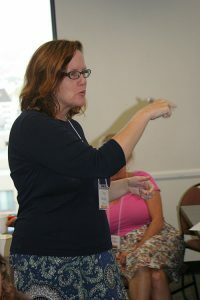 Stefanie Elwood let a workshop on using images as a gateway to comprehension. 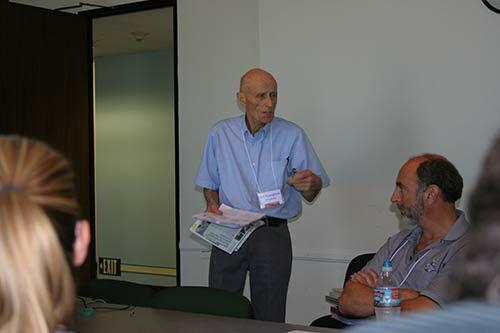 Bill Younglove shared how comics could be used to teach the Holocaust. 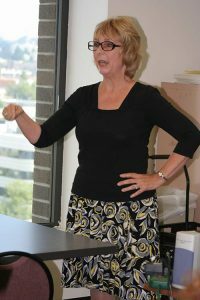 Kathy Hall, with Susan Johnson, shared how comics can be used to teach visual literacy. 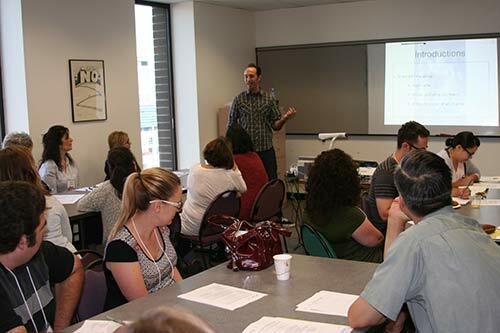 Daniel Buccieri led participants through strategies that use art to engage students in discussion. 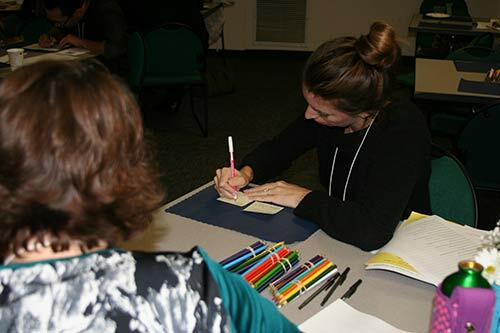 Ashley Maxwell participates in Simón Silva’s workshop on enhancing creativity. 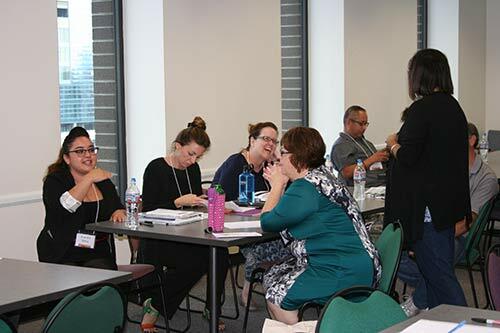 Participants enjoy time to discuss ideas. 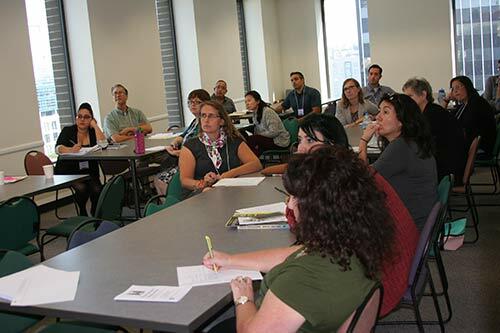 Workshop participants were engrossed in hearing new strategies. 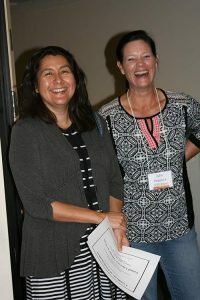 Lisa Hernandez, past president, and Julia Peacock celebrate at the end of a successful conference.